In order to be able to provide competent contact persons to our customers on a continuous basis, we divided our sales organisation into two sections: Process Firings and Boiler / Petro / Environmental. 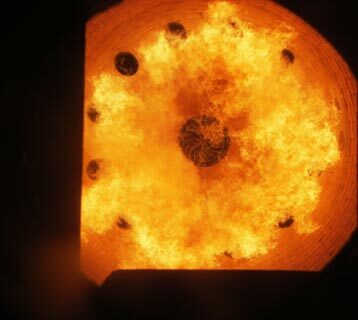 Our most important products are burners for rotary kilns and calcination units used in cement and lime production and ore and mineral processing as well as hot gas generating equipment for the most diverse drying processes using all known fuels or any combination thereof . And, of course, we provide complete solutions starting with burners and fuel transport, all the way to automation and integration of supporting secondary or primary systems. Our traditional aim is to design and construct all components without compromising on reliability, efficiency, functionality and flexibility. Whether for boiler units in a power generating station, thermal oil heaters, the petrochemical industry or in the field of an environmentally friendly method for air purification, from us you get all the suitable combustion components. Furthermore, we are also active in the area of metallurgy, heat generating process and combustion as well as using secondary fuels. Boiler and burner control systems are also within our field of activity as well as supply and preparation units for all kinds of fuels.